Defend yourself with prejudice with this fixed blade machete. 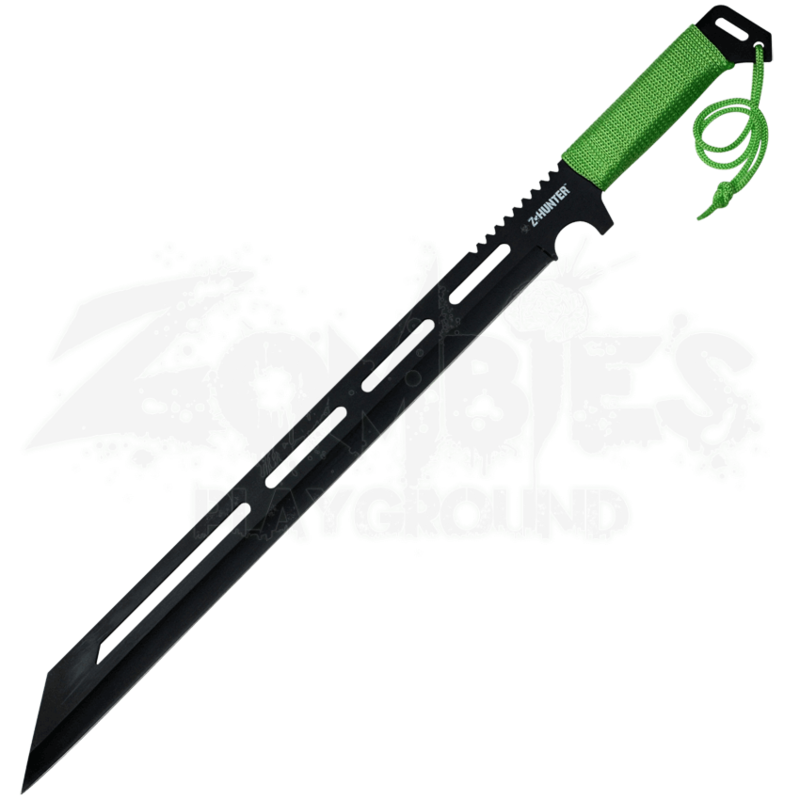 The Black Zombie Hunter Machete slants to a wicked point at the end of its sharp blade. Sawback serrations and its green cord wrapped handle add to its functionality. A finger groove makes it easier to use the sawback serrations. Cutouts run down the black stainless steel blade, and a black sheath comes included to aid portability. 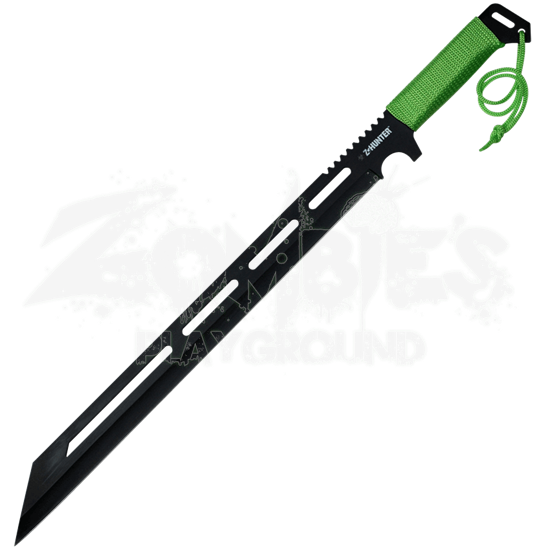 This inverted tanto Z-Hunter blade makes a great weapon of choice in the war against the rising undead.